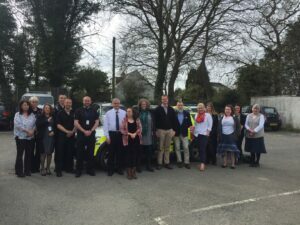 Devon and Cornwall Police, Cornwall Council’s Anti-Social Behaviour Team and officers from LiveWest Housing, have attended Truro Magistrates Court to apply for two separate closure orders. A full closure order was granted on 23 St Clare Flats, Penzance. The full closure was granted in response to a number of reports of crime, anti-social behaviour and disorder at the address involving both the tenant and guests attending the property. The tenant failed to manage their tenancy and committed a number of breaches of the agreement with LiveWest including allowing visitors to have a free run of the premises as well as drug taking and dealing in the property. Residents have also witnessed violent fights at the address causing many tenants to fear for their safety. 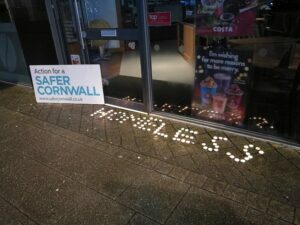 Penzance Police Officers, Cornwall Council’s Anti-Social Behaviour Caseworker and Housing Officer’s from LiveWest each tried to engage and offer support to the tenant to address the issues however the advice was ignored leaving agencies with no other choice but to apply for enforcement action to protect the community. Following the hearing, officers proceeded to the premises where the property was boarded up after the tenant had vacated. The premises will be closed for a period of 3 months which will allow local residents to enjoy their homes without feeling intimidated and scared. A second order was granted for premises in the St Ives area. This Order was a Partial Closure Order and was granted as a result of domestic arguments which came from the property and caused a nuisance to the surrounding community. The partial closure allows the family and supporting agencies to remain and attend the premises, but prohibits those identified, who have had a negative influence at the premises, from visiting. 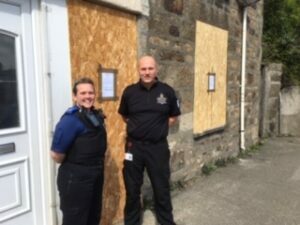 PC Saint from St Ives Neighbourhood Team said “The collaborative working between our Police, Cornwall Council’s Anti-Social Behaviour Team and LiveWest, Housing providers, resulted in the partial closure order. Anti-social behaviour has an adverse effect on people and the community and it will not be tolerated. 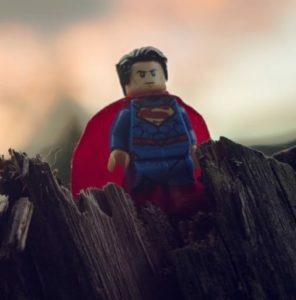 The police, are here to ensure that people can go about their day to day life peacefully and come home without having to worry about additional stresses such as hearing shouting, swearing and seeing abusive behaviour”. 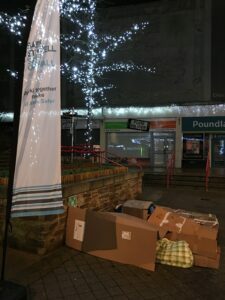 Dorian Thomas from Cornwall Council’s Anti-Social Behaviour Team said: “Many people will have challenging times within their lifetime. We will work with and assist in finding an alternative lifestyle for them, but to achieve this they must make a commitment to change themselves guided by the many support services in the community. If this support and guidance is ignored we will act accordingly and proportionately when dealing with this type of behaviour to give confidence to the community by actively supporting those negatively affected”. Residents are encouraged to continue to report anti-social behaviour by using the 101 number or in cases of an emergency dial 999. 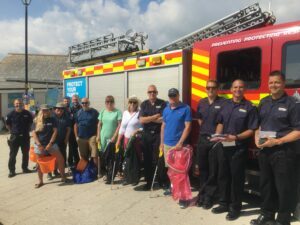 Six months after the launch of Safer Liskeard, the town is already seeing the benefits of bringing its community safety partners together. 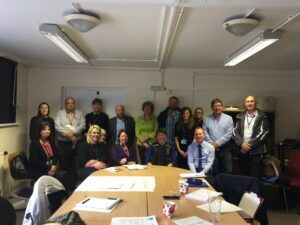 The group includes representatives from Cornwall Council, Liskeard Town Council, the police, fire service, and other agencies, who have targeted a set of key priorities to help improve community safety and reduce crime and anti-social behaviour. Some steps have already been taken, including a plan to install a ‘sharps bin’ for drug litter outside the Sungirt toilets in the town. 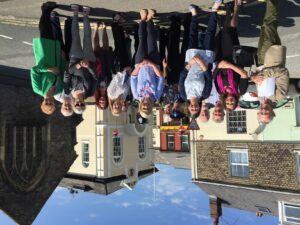 The team also took part in Op Aident in September, which involved multi agency site visits to hotels and B&Bs in the town centre to raise awareness of child sexual exploitation and how to spot the signs. 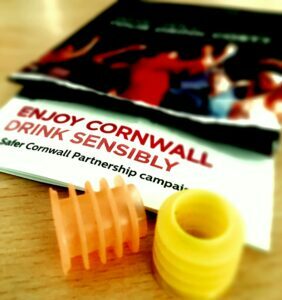 Safer Liskeard also had a multi-agency stand at Liskeard Community Hospital during national Domestic Abuse week. 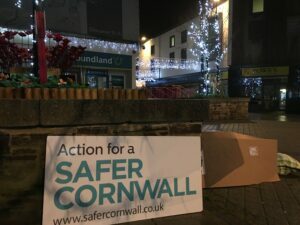 Future action will focus on a Community Safety Section at Liskeard Community Fair in March 2019, police-led shoplifting prevention training for local businesses in January and concentrated partnership activity in areas highlighted as problematic and targeted outreach with young people will take place. 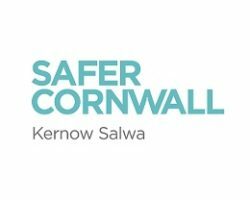 Lucy Allison, Community Safety Officer for East Cornwall said: “In the six months since its launch, Safer Liskeard has been engaging with the public and partners to see where our focus should be in the town, and we have already identified some key areas for action. “Liskeard is a fantastic place to live and work, and we want to ensure it remains that way, and to help residents grow an even stronger feeling of pride in the town. Residents and businesses… Report It!